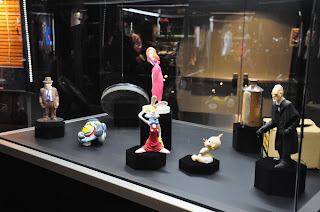 Here are some photos from the D23 Expo in California. Jessica Rabbit does have some presence there, especially since one of the featured movies with props on display is Who Framed Roger Rabbit. 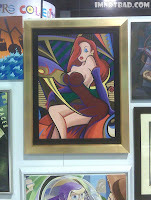 There was a Jessica Rabbit fine are painting hanging in the halls of the Expo. This is a very art deco piece, with Jessica sitting on what appears to be Benny the Cab upon closer inspection. This painting has never been seen before, and its use of vibrant colors and artistic edges make this a stunning Jessica Rabbit piece. Thanks to Andoni for this photo. Above, we see statues used in the production of WFRR. These were likely used as color reference models. 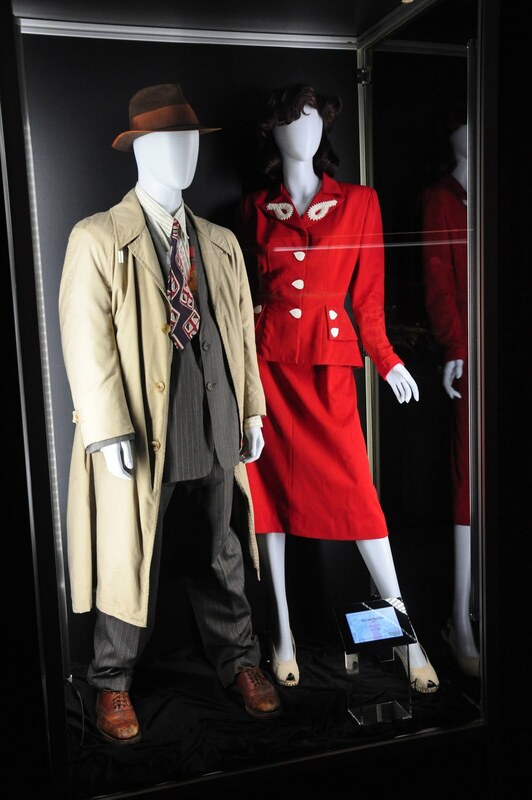 (Left)The costumes worn by actors Bob Hoskins and Joanna Cassidy. 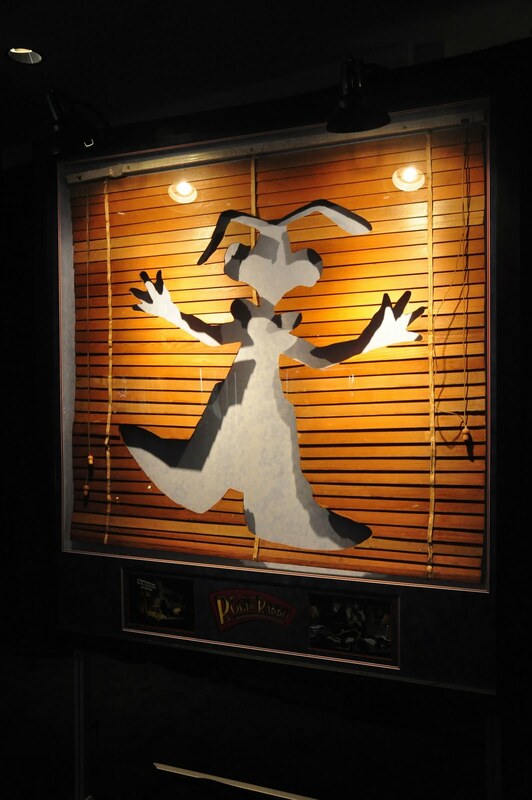 (Right) Window shade prop from the Maroon Cartoons office. 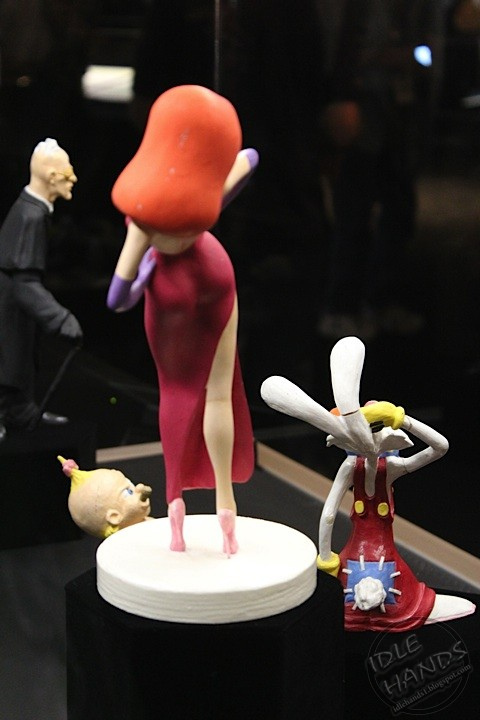 There was also a variety of art, pins and collectibles available for sale.